Singapore’s city skyline is an attraction in itself. Match that with the vibrant night life, and it’s no wonder why there’s a proliferation of rooftop bars and lounges in the country. Below are our top 5 picks of the best places to unwind in Singapore with the wind on your shoulder and a magnificent view of the city. Catering to lively crowds, Loof is popular for being one of the few establishments in the country where clients can play Beirut or “beer pong”. The open air and cool drinks (all their beer, wine and cocktail are reasonably priced) will certainly refresh you after being indoors the whole day. Drinks range from S5-9 based on the hour. 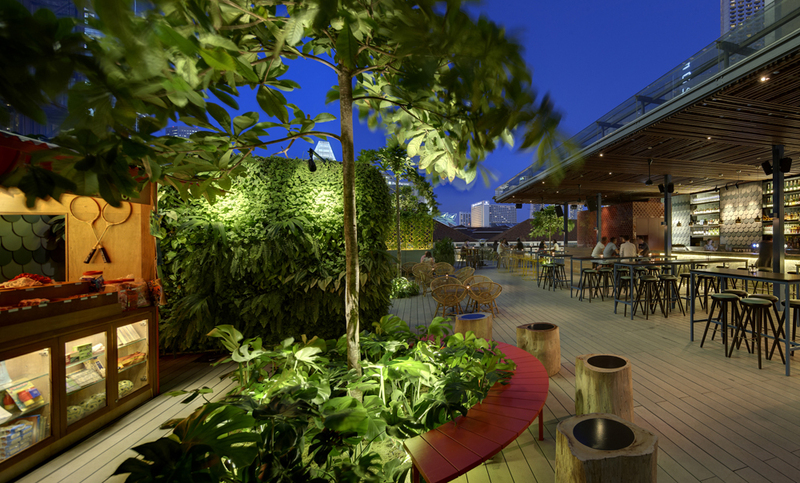 1-Altitude is arguably the rooftop bar with the best view of Singapore. This skybar has a 360⁰ panoramic view of the city, with its western corner almost perfectly facing the setting sun. Feel like the ruler of the world as you sip on cool drinks and wait for the bar and the city to come to life. What Ku De Ta lacks in elevation – and it doesn’t even lack much, mind you – it makes up for with its unique vantage point, which is perfect for the wonderful laser light show at Marina Bay Sands (every 8PM and 9:30PM). The design of the place is plush yet comfy, giving off an understated opulence. Located atop the five-story Fullerton Bay Hotel, the Lantern Bar doesn’t boast much in terms of height. However, it’s one of the most colorful bars in the country, featuring a tropical décor and a beautiful mosaic swimming pool. So if the refreshing drinks isn’t enough to wash away your tiredness, the cool waters of the pool should. 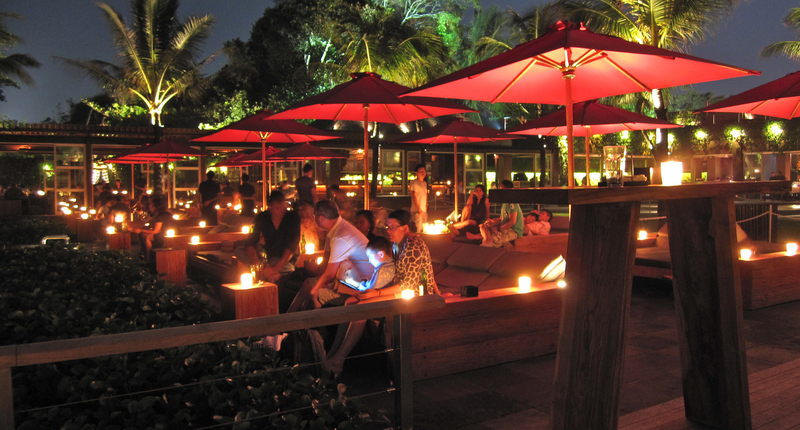 Lantern Bar also has a view of the MBS light show and holiday fireworks, making it a great place for parties. Mr. Punch Bar is a unique rooftop bar as its main feature isn’t the view outside, but rather its cool vintage interiors and a toy museum below it. It’s a fine place to catch up with old friends, and drink to the good old days while being thankful for the present. 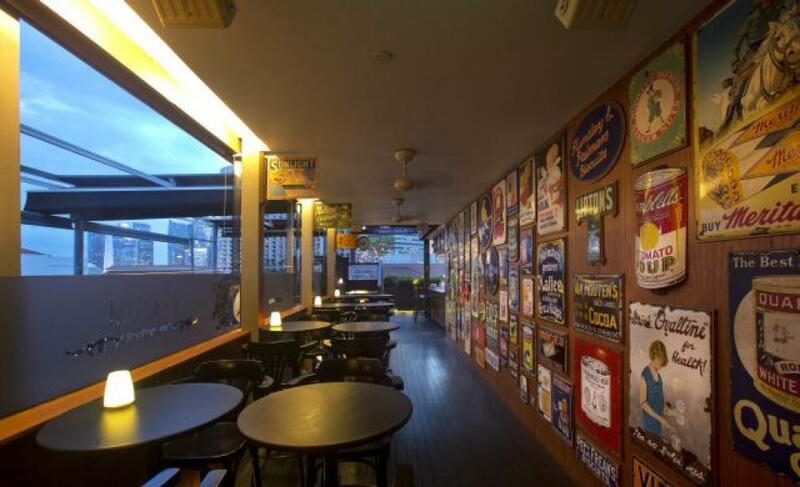 The bar offers reasonably priced food and drinks and a mellow atmosphere.